I found this at the post office. I was standing in line and it was either forgotten or discarded with a stack of envelopes. 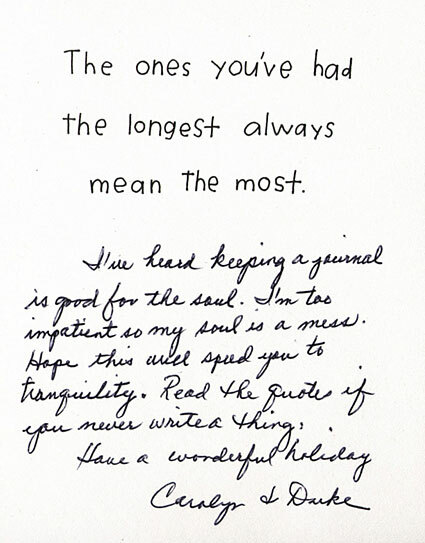 I hope Anne appreciates the journal Carolyn apparently gave her, poor Carolyn and her messy soul!